What are our categories for the best game cameras? 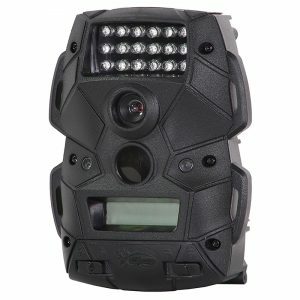 What about game camera accessories? A game camera is a camera that is designed to be set up in the woods along either a game trail or near a bait station or feeder. The purpose of a game camera is to allow a hunter or landowner to know what type of game or other animals are present in a certain area. This can be useful to know where a hunter might want to set up for a chance at a trophy, and also for knowing what type of management practices might be needed in the area. 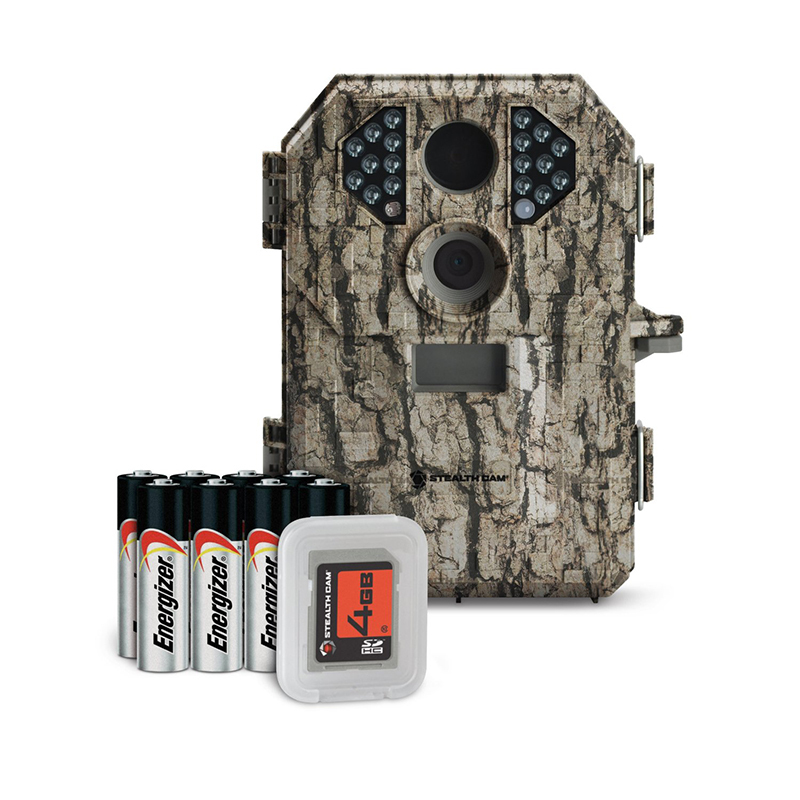 Game cameras are going to be at least water resistant and in many cases fully waterproof and are going to operate on batteries as they are stationed in remote areas. These cameras also use either an SD or a micro SD card to record images and video. The cameras are triggered by a sensor that detects movement to allow for elongated run times on batteries without recharge. One important feature to many users is called the ‘trigger time’ which is the amount of time the camera needs to take the picture once the sensor has been activated. 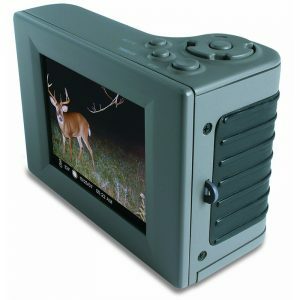 Game cameras come in a variety of sizes and shapes, and with different capabilities, but typically there are two main categories of cameras, those that take photos in a certain direction that the camera is pointed (directional cameras), and those that can take pictures in a multitude of directions. 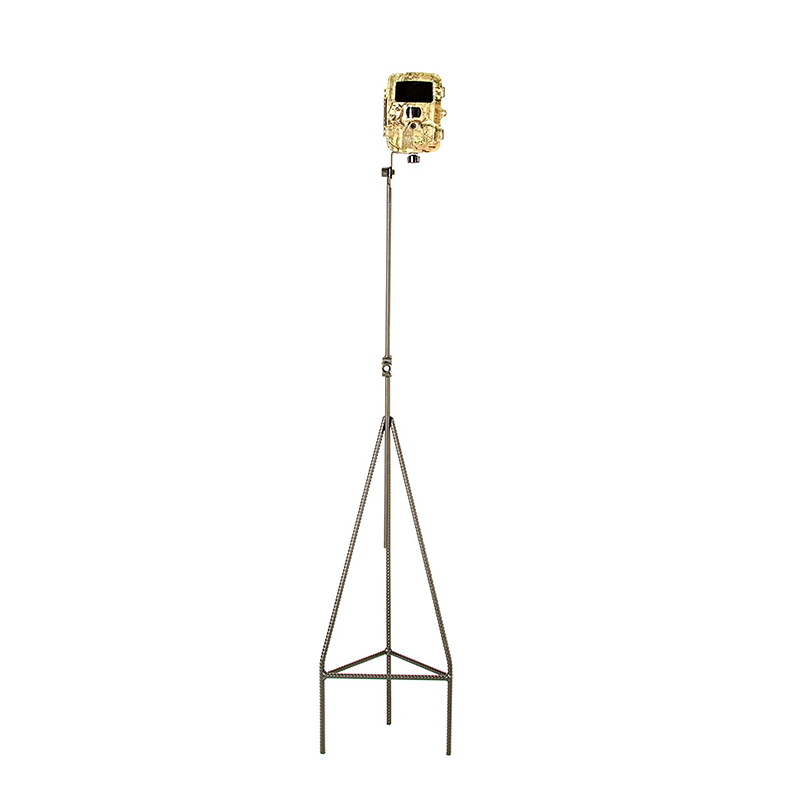 The directional cameras are by far the most common and the most popular. In the category of directional cameras there are literally hundreds of cameras on the market. It is very difficult for most people who are just getting in to the market looking at cameras to discern the difference in quality and capabilities of the various cameras. Our field staff has spent literally hundreds of hours evaluating cameras and talking with hunters who have had real life experience with game cameras to compile a list of our ‘best of’ recommendations. We have split the directional cameras into categories based on the quality of photographs delivered in megapixels (MP) of resolution. In general, the higher the MP count, the higher the resolution the photographs will be. What is the best game camera with 4 MP or less resolution? The Cloak 4 camera from Wild Game innovations takes photos and video. Because it is only 4 MP in resolution, you are going to be able to fit a lot more photos on a given SD card. The Cloak 4 uses a full size SD card, so you aren’t going to have to worry about dropping a memory card in the outdoors that is half the size of a dime! The camera has an infrared flash and does a good job of taking photos at night, even in pitch black conditions. We found the sensitivity to be a bit high, so you might have some pics of moving grass, but given how many can fit on the card this shouldn’t be an issue. Allows for lots of pictures on a memory card. Auto sensor can be too sensitive. What is the best game camera with 5 – 8 MP resolution? The Stealth Cam P18 is a good camera for those wanting to up their capabilities without having to break the bank. 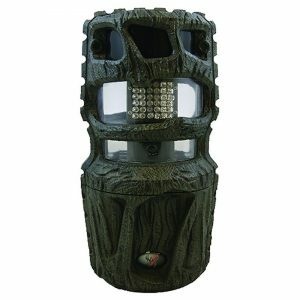 Its 7 MP camera is able to get good photos of game, and the 18 infrared emitters offer a range out to 50’ for night photos. The unit was very easy to program and was very user friendly. We really liked that the unit came with both a set of batteries and an SD card, but if you are going to go a while between checking for photos, you might want to invest in a SD card with greater capacity than the included 4 GB (gigabyte) card. We have heard from some of our readers that some units do not trigger as easily as they would like, so keep that in mind if you are trying to capture photos of smaller critters tearing up your lawn as versus pics of deer or larger game. Comes with batteries and memory card. Can be issues with the auto trigger not being sensitive enough. What is the best game camera with 9 – 15 MP resolution? Distianert has come out with a great camera to provide high quality photos of just about any animals you want to capture on film. It has an impressive trigger speed of well under 1 second and even has sensors that go out to the sides to let the camera ‘wake up’ as something approaches from the side to ensure you don’t miss the picture. The IR flash isn’t super bright, but you will be able to detect it at night, so don’t consider this as some type of stealth cam for security use. At 12 MP, it is going to offer some really clear photos, but be mindful that you might need a larger capacity SD card if you aren’t going to be downloading pictures regularly. Also, we have seen some ads for this camera that show it with a full size SD card…this is not correct. The unit takes a micro SD card, so also keep that in mind when ordering. We would have preferred the full size card as getting the micro card in and out isn’t the easiest, but all in all, the camera is an excellent choice. Small micro SD card can be difficult to work with and insert/remove from camera. What is the best game camera with 16+ MP resolution? 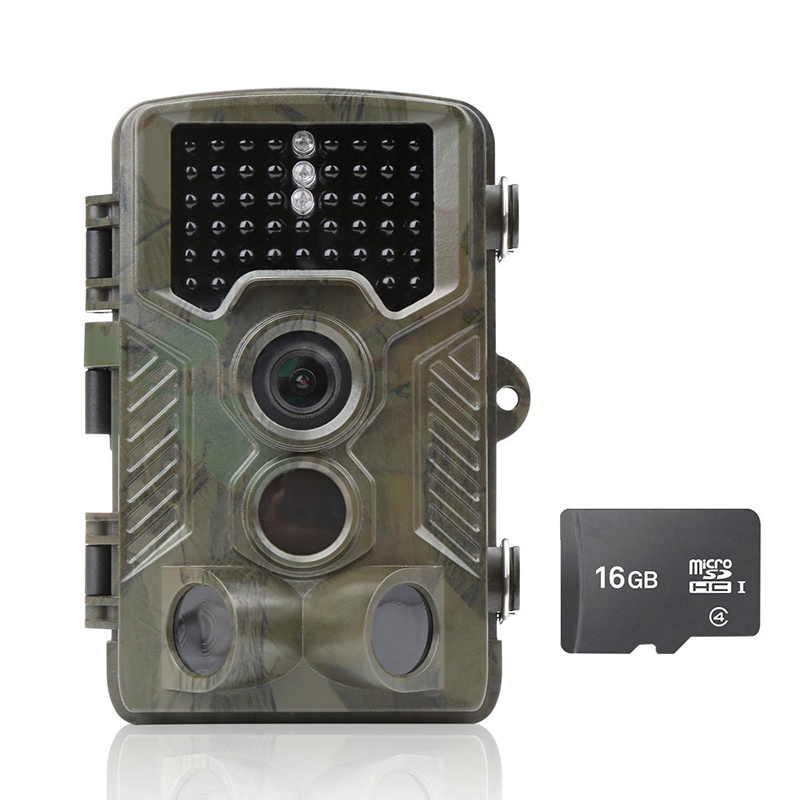 With a programmable MP resolution that offers choices of 3, 5, 8, 12 and even 16 MP, the KV.D Game cam offers a ton of features, which can be a good thing or a bad thing, depending on your technical capabilities. The photos this camera takes are truly great, especially when on the 16 MP setting. The trigger is ultra fast, firing at about ½ second so you won’t miss an animal that is near the camera. The unit is totally waterproof and even includes a viewing screen when you open the outer cover. The night time photos are about par for what you expect but the nice thing is this camera uses low glow 940nm IR LEDs, so there isn’t that telltale red flash you see with so many other cams. The unit also takes 1080P HD video and even has an audio record as well. This unit has a TON of features, so just make sure you are ready to do some learning if you want to get the full use of it. Lots of customization possible for photos and video. Might be a bit complex for a novice user or one without much electronic experience. There are times when a hunter may have the need to scout an area that is not directional, but rather around where a camera might be located, such as in a field or other open area. This area could be covered by positioning several cameras on vertical mounts facing out, but that really wouldn’t be very cost effective. In this case, utilizing a camera designed to take photographs in a 360 degree circle can often be the best, and least expensive option. What is the best 360 degree game camera? 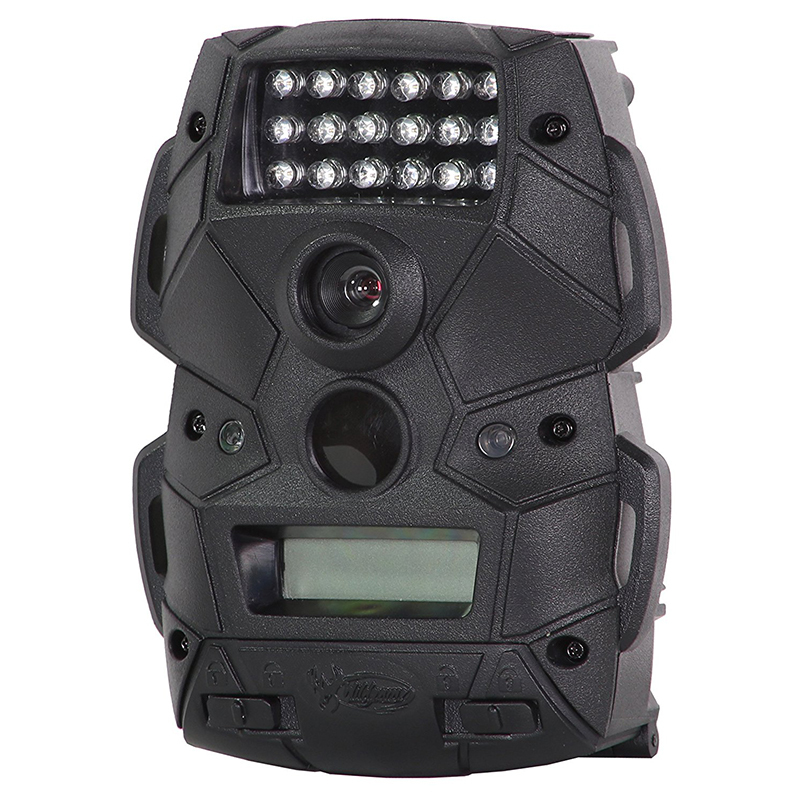 Wild Game innovations has brought a great product to market with their 360 Camera. This camera is very different from traditional cameras as it has an internal motor which will spin the camera around a 360 degree arc to capture images of game in all directions from the camera. Small sensors located around the camera trigger the motor to spin and the photo to be taken. The camera is capable of both daytime and nighttime photography, thanks to the IR LEDs. The LEDs are regular IR so you will get the low red glow from them. The unit comes standard with a T-post mounting bracket and can accept up to a 32 GB SD card. From what we have seen so far, there isn’t any additional drain on the batteries from the motor as battery life is on par with many other cameras we have tested. Allows for capturing photos all around the camera. Trigger speed is a bit slow. What is the best game camera if I am on a budget? 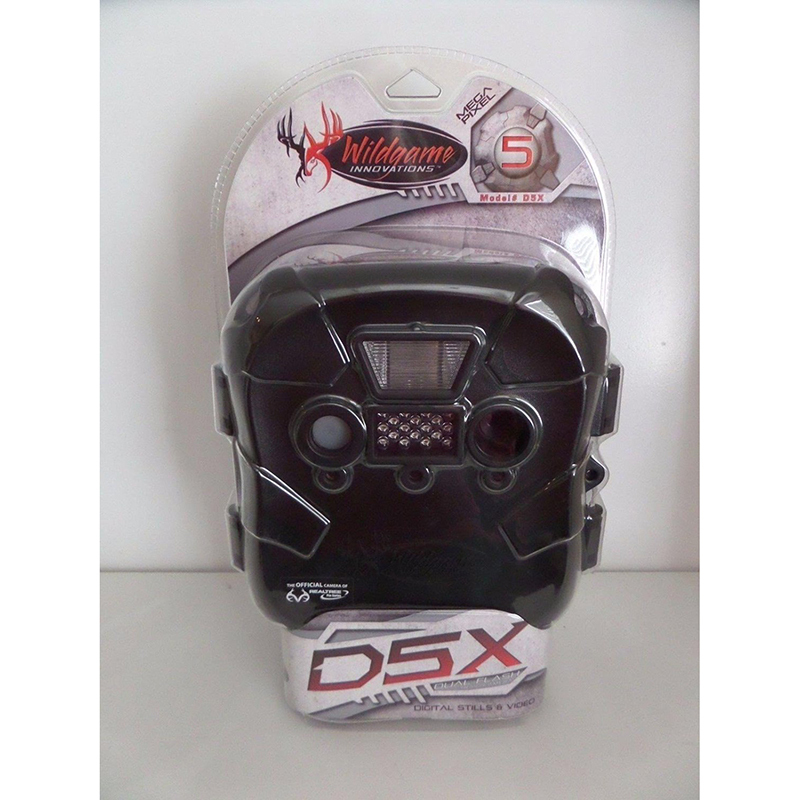 Wild Game Innovations has brought a good camera at a very good value with the D5X camera. The camera takes photos at a resolution of 5 MP and QVGA video. The IR flash will reach out to about 30 feet, so don’t expect any long range night photography, but then again, this is the budget category. The unit is powered by 4 C batteries that will last about 4 weeks, so make sure you are putting this up in an area where you will be checking it regularly, especially since it will only accept up to a 2 GB memory card. All in all, this is a good camera that will fit into most budgets and still deliver useful images. Limited range on IR LEDs. Can only take a 2 GB memory card. As with most hunting tools, games cameras have a few accessories that can increase their utility. From alternative stands to photo viewers we take a look below at some of the most common accessories and the best of each category. Many of the more modern, higher end cameras actually have a built in screen for viewing when you open the camera, but many cameras do not. If you don’t want to wait until you get back to a computer, or don’t want to have to drag your laptop into the field (which we do NOT recommend), getting some type of external viewer is just the solution. There are two basic types of external viewer, one that is dedicated as a viewer, and one that allows the card to be mated to a smartphone, whether Android or IOS. So what is the best stand alone viewer? The digital picture viewer by Moultrie is essentially a small photo-only computer that is meant to be taken into the field. The viewer allows you to insert the SD card from your camera and scroll through photos on site with your game camera. You can delete pictures you don’t want and even zoom in up to 3 times to see more detail. For future models we would really like to have a pan feature where you could zoom in to any part of the photo rather than just the center, but at least this offers an option to see what photos you have without having to wait to get home. What is the best Android viewer? 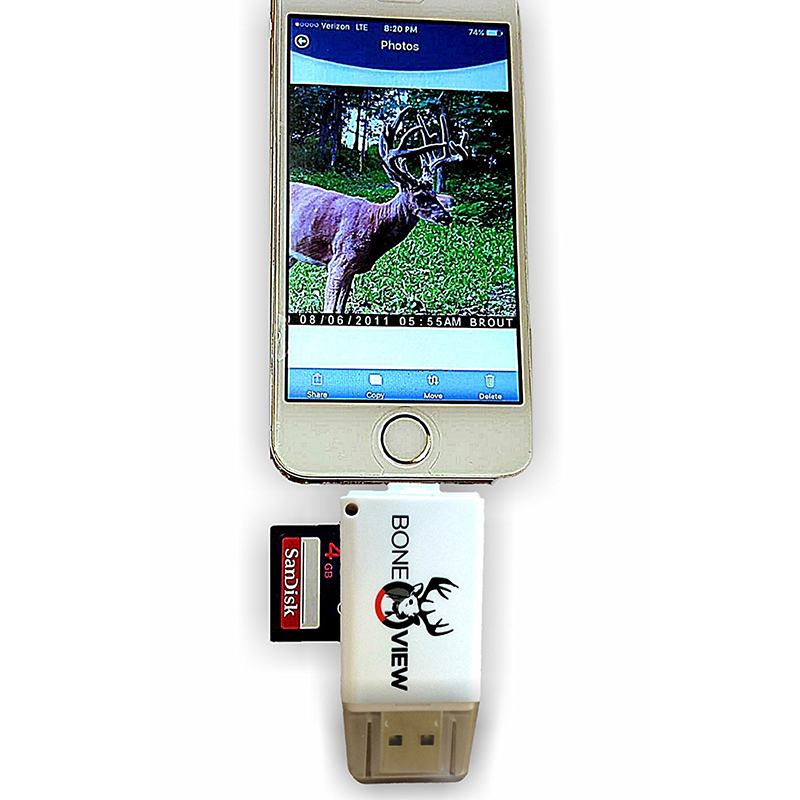 For those hunters that carry their Android smart phones into the field, the BoneView Viewer offers a very cost effective way to see what images are on your memory card. 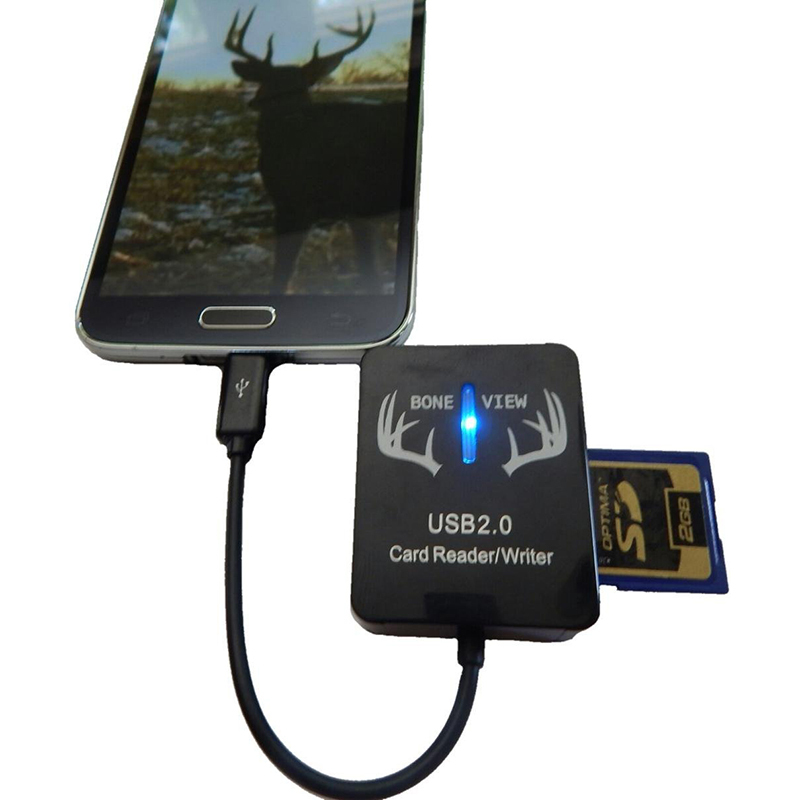 The unit attaches to your phone with the standard Android micro USB plug and offers the ability to accept both standard SD cards as well as micro SD cards. You might need to download an app to get full functionality depending on your phone, so test it out before you hit the field. What is the best iPhone viewer? For hunters on the other side of the smartphone fence, the BoneView viewer for IOS provides the opportunity to view your game camera images directly on your iPhone. Like its Android counterpart, the IOS viewer accepts both standard SD cards as well as micro SD cards. This unit will fit most of the later generation Apple products, but be sure to double check compatibility with your specific unit. Like the Android version, there might be a need app depending on your specific phone model, so be sure to try it out before you head out of cell coverage. No security device is going to stop a truly determined thief out in the woods from stealing your game camera…especially if he has all the time he needs. Security devices are generally designed to “keep honest people honest” and most do a decent job of deterring theft. 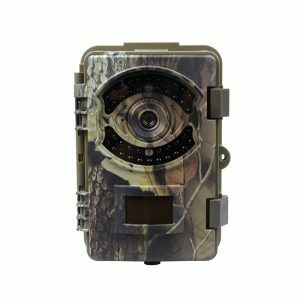 Security devices on game cameras can be particularly useful for those hunters that set up on public lands where a casual hiker or other hunter might be interested in your camera, but not willing to put in too much effort to get it. What is the best security system for a game camera? The Cam Guardian is essentially a steel band that goes around the tree that replaces the nylon strap supplied with most game cameras. The band is locked in place with a small bolt that has a custom head which is essentially a torx fitting with a raised dot in the center, and a lock tool is included. The steel band is a total of 48” long and is made to fit around a tree that is up to 15” in diameter. One nice feature of the Cam Guardian is how tightly it fits around the trunk of the tree which would make it very difficult to get a set of bolt cutters on it. This is a simple solution to offer some level of security for your game camera investment. There are times when a suitable natural attachment point simply isn’t available to mount your game camera. In these instances, some type of auxiliary mounting point is called for. One of the easiest and most cost effective is a camera stand that is specifically designed for mounting a trail camera. Typically it is a firm shaft that has some type of support to anchor it into the ground and then a top mount set up for a game camera. Many even have adjustable heights and rotating shafts as well. What is the best camera stand for a game camera? 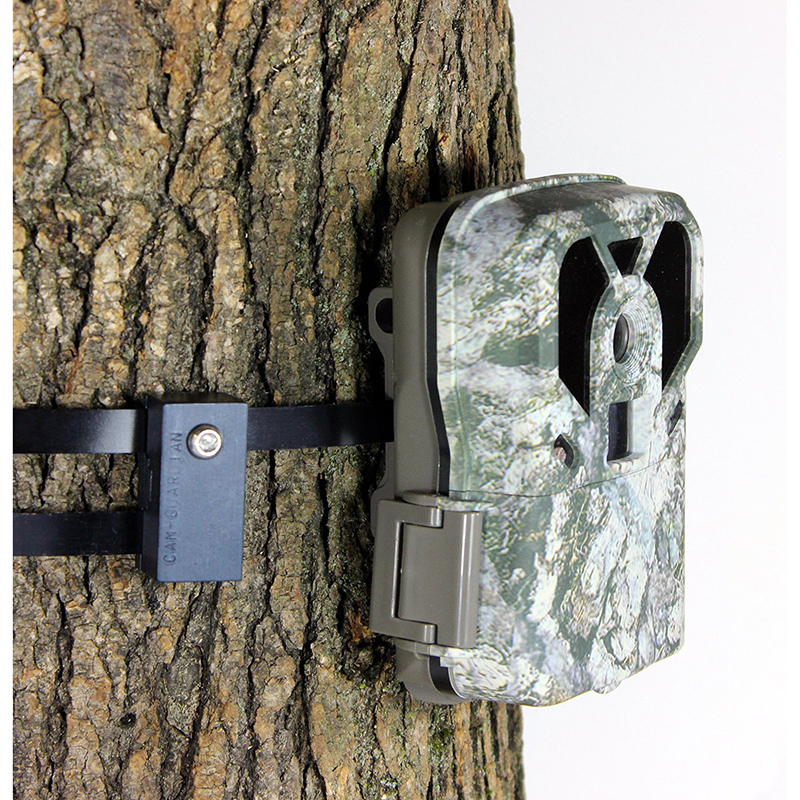 The Stic-N-Pic Trail Camera Stand offers a lot of customization for mounting your trail cameras, and allows for the mounting of up to three on a single stand. The cameras mount by way of a tripod thumbscrew from underneath, but there is also an optional bracket available if your specific game camera is not set up that way. The camera height is adjustable from ground level up to about 52” so you can take photos of just about any kind of critter you need to. The stand itself is heavy duty, has three legs and simply pushes into the ground for stability. What’s The Best Crossbow Scope For Your Budget?